Made from a mashbill of at least 80 percent corn and distilled to a maximum strength of 160 proof, corn whiskey is a truly American liquor. Corn whiskey is a great reminder for many of the days when poor farmers used the only grain they had to hand – corn – to distil into whiskey, barely aging it before bottling and selling. This no-aged liquor (plus the fact that they didn’t pay taxes on production) earned the title ‘Moonshine’ and this reputation has followed corn whiskey around throughout its years. 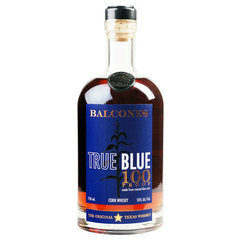 Today, however, it’s a liquor that has gained a cult following, with mixologists using it to add a whole lot of interesting character to their cocktail menus. 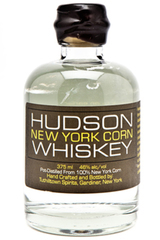 So, how does corn whiskey differ from, say bourbon, which both use corn in their mash bill? 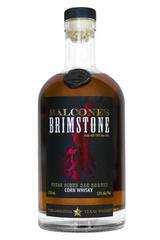 There are three main differences between corn whiskey and bourbon. Firstly, bourbon, by law must be made from a mash of at least 51 percent corn, whereas corn whiskey’s mash has to contain at least 80 percent. Note the ‘at least’ here. Technically you can have a bourbon and a corn whiskey made from the exact same mash bill, which leads us onto the next difference: the barrels. 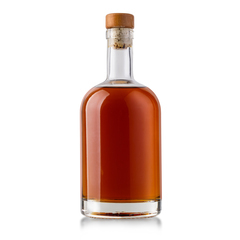 Whereas bourbon must be aged in charred oak barrels, corn whiskey doesn’t actually need to be aged at all (see Moonshine as mentioned above). If it is aged, however, the barrels must not be charred and must be new and made of oak. Did you know In the state of Kentucky, there are currently over 5.7 million barrels of whiskey aging? Aged for more than 2 years, it’s this very process that differentiates straight corn whiskey from its white whiskey/ moonshine sibling. 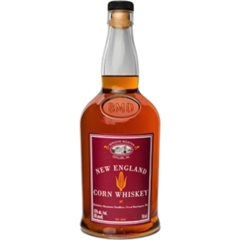 A rare offering – currently only distilled by Heaven Hill in their ‘Mellow Corn’ product and Missouri’s Hirsch Selection, straight corn whiskey it offers a silky sweet butter vanilla taste with woody notes. Holding a number of titles: White lightning, white dog, moonshine, white whiskey and light whiskey; un-aged corn whiskey is a category with recent growth, due to adventurous bartenders looking for new spirits and micro distillers seeking to offer products without having to wait for the aging process to complete. 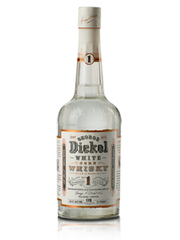 Once thought of as too unrefined to be consumed with its little or no barrel aging, today’s white whiskey sees a huge improvement in flavor due to the availability of finer raw materials and distillation practices. Modern white whiskey offers an interesting alternative to longer aged whiskeys and an exciting experience for whiskey fans wanting to see the difference between aged and un-aged spirits. 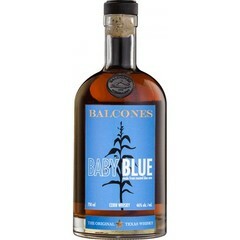 If you’re looking into delving into the world of white whiskey, Frootbat recommends Balcones Baby Blue Corn Whiskey to give you the best of introductions.